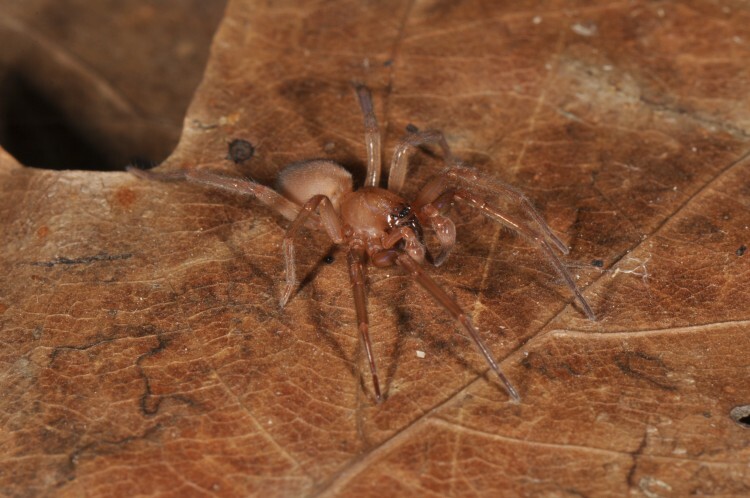 There are three species of prowling spiders known from Ohio. This represents <1% of our spider species. 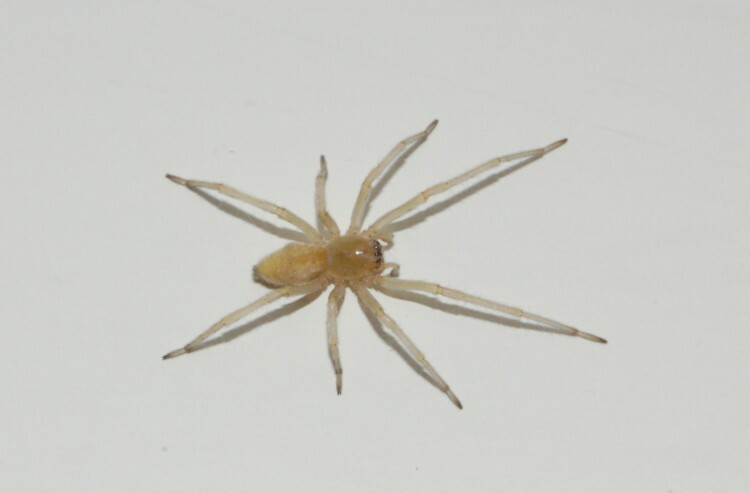 One species (yellow sac spider) is very common in buildings. 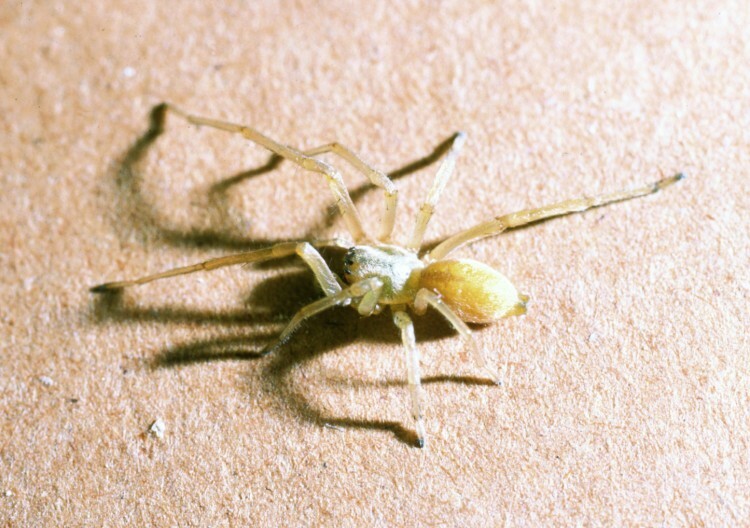 These sac spiders are pale colored, tan, light yellow, or pale greenish. 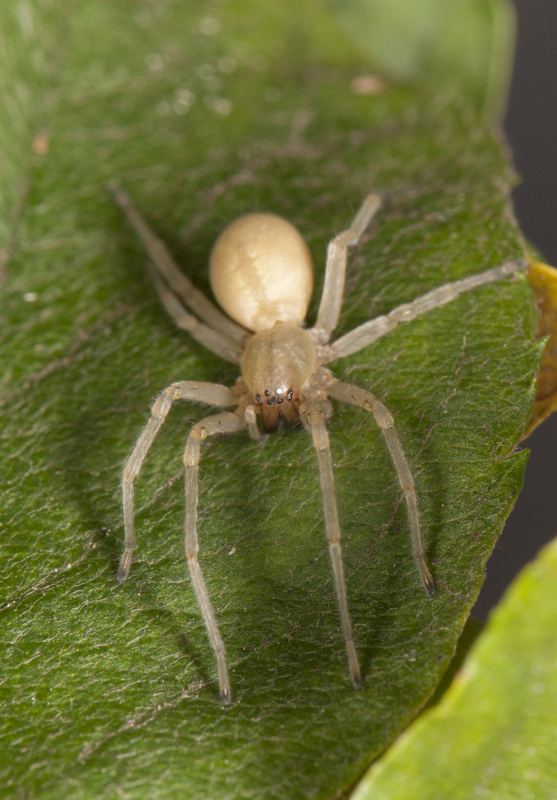 They hunt at night, running rapidly over surfaces and vegetation in search of prey. 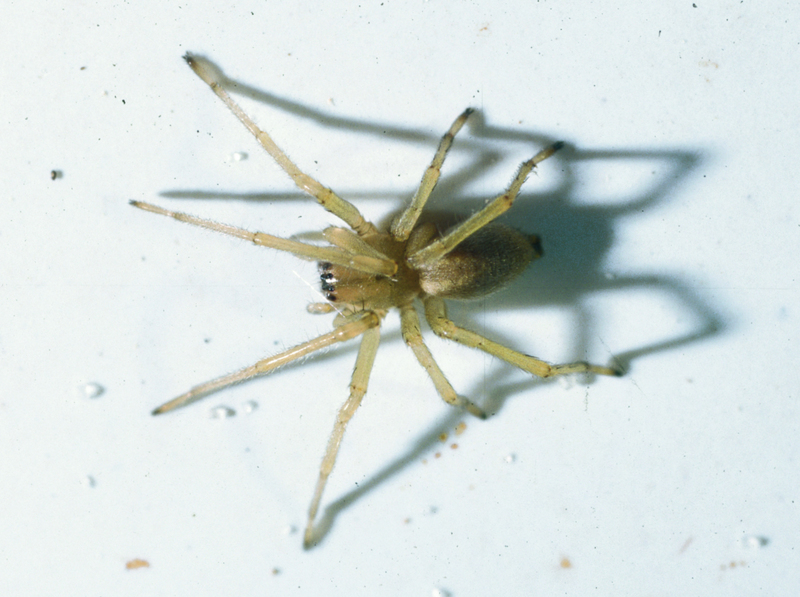 They fuel their constant running by feeding on sugary plant nectar when they encounter it in flowers or nectaries. The yellow sac spider (Cheiracanthium mildei) is one of the most common spiders in houses and other buildings. 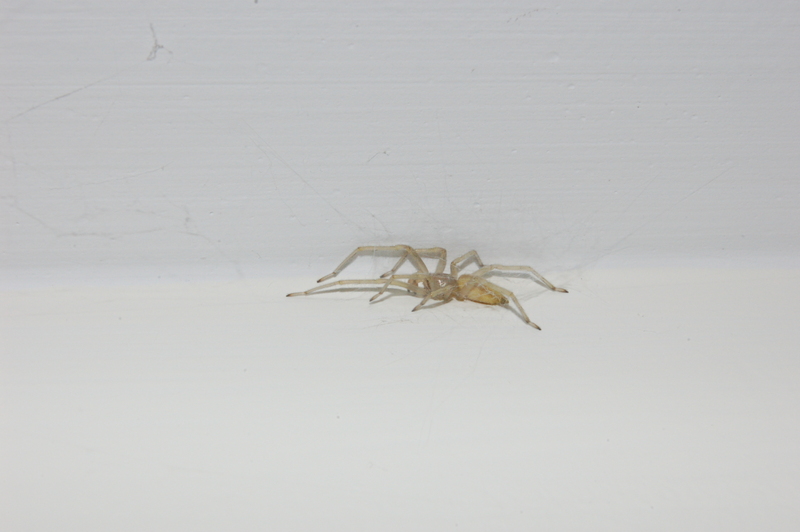 During the day they can often be found in a thin silk cocoon in corners of structures, often at the join of a wall and the ceiling.